It’s National Non-Smoking Week and as Canadians we have a lot to celebrate. In the past 50 years smoking rates have gone down significantly. Picture 1965-era Canada, Lester B. Pearson was our Prime Minister, the Righteous Brothers kicked the year off with the song, “You’ve Lost that Loving Feeling” and 49.5% of Canada’s overall population smoked. Jump ahead 50 years to 2015, and Stephen Harper, then Justin Trudeau served as our Prime Minister, Mark Ronson featuring Bruno Mars brought us some “Uptown Funk” and just 13%[i] of our overall population smoked. And while there is A LOT to celebrate, it is only fitting that during #NNSW2019 we ask ourselves, ‘how low can we go?’ or in other words, what about the remaining 13%? 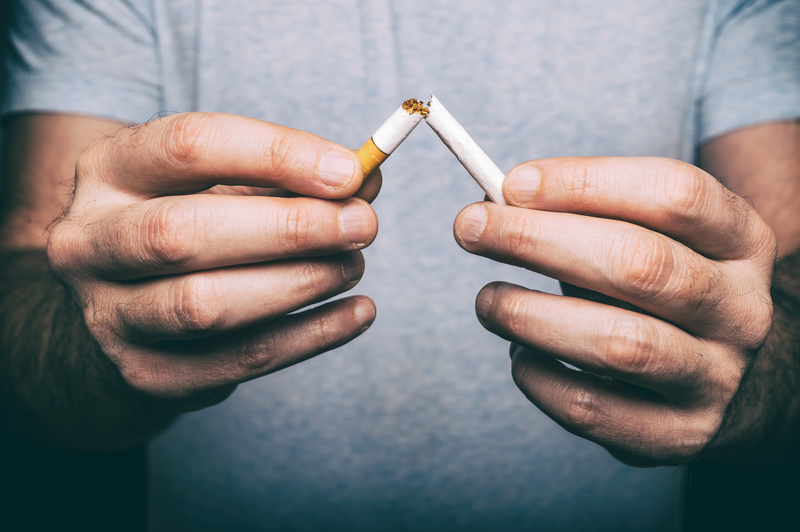 And this is important because according to BC Lung Association, even though Canada has a low smoking rate internationally, and British Columbia has the lowest provincial smoking rate, tobacco use is still the single most preventable cause of premature death and disease in Canada. If you find yourself one of the 13% of smokers who are thinking about quitting, you don’t have to do it alone. There are free resources in BC for those who are contemplating or ready to take action or to get back up on the horse and try again. Check out the Government of BC’s program delivered by the BC Lung Association, Quitnow.ca to make a quit plan, access a support group, text messaging services, quitline, coaching and more. One way to quit and celebrate at the same time is by challenging yourself to an event in the future. Why not sign up for Canadian Cancer Society in partnership with the Running Room’s Run or Walk to Quit in the summer and fall. It’s a program that encourages tobacco users to quit smoking by learning to walk or run 5 km. Which means you’ll be getting some exercise while beating those cravings – a Win-Win! Remember, no matter where you are on your quit journey, it’s important during #NNSW2019 and otherwise, to celebrate how far you’ve come.